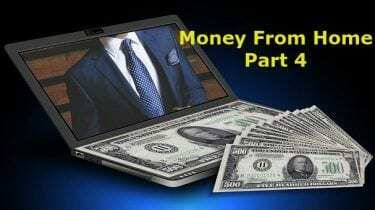 How to make money from home in your spare time – Part 4 is now ready. Hopefully you have enjoyed reading Part 1 , Part 2 and Part 3, and that you learned a few things that will help you in your quest for a financial freedom. Make sure to join my mailing list so that you will be notified as soon as any new article is available. When you are in front of your computer, whether at the office or at home, you always have to make a difficult choice. Switch to “work” mode and do all the tasks you plan to do today. Or, put yourself in ”relax” mode to connect with your friends on Facebook; take a look at Instagram and watch one or two videos on YouTube. Unfortunately, more and more people are choosing the second option. That is to say, they spend 1 hour, 2 hours or even 3 hours on social networks instead of performing the tasks of the day. To be honest with you, it’s quite human to choose social networks to the detriment of our tasks. Because we have been conditioned to be sensitive to any form of immediate gratification. For example, it’s always more fun to watch your Facebook feed than to fill a text file on Word for an hour. It’s always more fun to scroll through inspiring photos on Instagram than to do a video montage. Or, it’s always more fun to watch a video chat on YouTube for an hour than to create a product and sell it. Even if you are working on a project that is really important to you, such as launching your activity on the web for example. So of course, I’m not saying that it’s wrong to go on social networks, or that it is completely useless, and that you should banish them all from your life, and that you have to take refuge in a cave like in the time of the cavemen. On the contrary, social networks can also serve you for many things. For example, you can learn new skills; transmit a message to a group of people; stay in touch with your loved ones or to meet new people. The problem is that we tend to go on social networks at any time of the day. In the morning after waking, we will more or less browse on Facebook. Then we watch a short video in the morning on YouTube, we continue to scroll Facebook at noon, not to mention Instagram and Snapchat. And when we come back from work, we spend at least an hour on social networks, just to spend a bit of time before dinner. Honestly, it’s a very bad idea to go on social networks at any time of the day. In fact, there are many reasons for that. Already the first reason is because social networks are made for one thing, to turn you to an addict of their platform. Notably with their infinite news feed, sound notification system, automatic playback of videos, etc. This way, they will force you to stay as long as possible on their platform. Not one or two minutes, but 15, 30 or 45 minutes in a row. And it’s not by chance that social networks want you to spend time on their platform, because they all do it for one purpose: to sell your attention to companies that advertise their product. It’s like that on Facebook, on YouTube, on Instagram, on Twitter, on LinkedIn or on any social network. Because that’s how the ”Business Model” of social networks works. They make sure to have the maximum user on their platform and then call on advertisers. The social network offers a price to advertise such product and displays the advertisement on the news feed of each user concerned. This is how social networks earn money and are profitable, even if we tend to believe that they are free. Then, the second reason why it’s a bad idea to go on social networks at any time is because you have a lot more chances to waste time on social networks. And most importantly, it will prevent you from having enough time to work on what is really important, like launching your activity on the web. According to a study by Mediakix, we spend an average of 35 minutes / day on Facebook, 40 minutes / day on YouTube, 25 minutes / day on Snapchat, 15 minutes / day on Instagram and 1 minute / day on Twitter. If I add up all this, we spend on average 1h56 per day on the 5 largest social networks in the world. Between you and me, spending almost 2 hours a day on social networks is way too much. Because with that time, you could have advanced on the launch of your activity on the web, such as creating content, developing an audience, etc. So, how to recover this lost time? The first thing I invite you to do now is to install several tools. For starters, I advise you to install the Chrome News Feed Eradicator extension, it is free and it allows you to hide the news feed Facebook to avoid scrolling and not be disturbed by posts from your friends. This is ideal if you tend to work on Facebook and you do not want to be distracted while you use it. Then I recommend that you install the Chrome BlockSite extension; it is free and it allows you to block sites that you want to block for a period of time. It can help you for a while if you do not want to invest in a tool. But in the long run, it will not protect you from everything. If you really want something more powerful, I advise you to use Freedom, it costs less than $2.50 per month and it allows you to block any site on any browser and on any device (computer, smartphone and tablet). Small icing on the cake, it also allows you to temporarily cut off access to the Internet without having to disconnect from Wi-Fi manually. This is what I use to prevent me from going to Facebook and others at any time of the day (mainly in the morning until 13:00 hours). Once you’ve installed Chrome extensions, you’ll need to turn off all social network notifications on your phone and computer. I’m talking about Facebook, Twitter, YouTube, Instagram, LinkedIn, etc. Just go to the settings of your account, to uncheck all possible notifications. Even email notifications, because most of the time it is how they get you to visit the platform (and get stuck in it). Then, after doing this, I advise you to make the accessibility of all social networks more difficult. That is to say to uninstall the application Facebook (and other social networks) on your smartphone, to remove the shortcuts on your browser, to change the homepage of your browser with the extension Momentum. And even, delete the history of your browser regularly so as not to type the URL of Facebook or others automatically. Okay, I know it’s a bit too extreme how I separate myself from social networks. But, you will soon be amazed how much time you save like that. 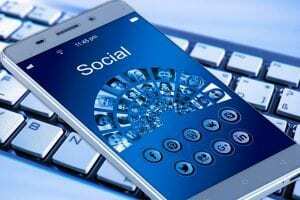 Which doesn’t mean that you should go on your social platforms, but you should control what is needed to be done for your business. Such as sharing your articles on social media, sharing and reTweeting other people’s messages that you like and you feel are worth sharing, etc. What I can tell you is that this way of doing things helps me a lot not to go on Facebook in the middle of my work. Today, for most of us, we have a mailbox to manage, if not several. A mailbox that includes both newsletter e-mails; one for e-mails from our colleagues; and e-mails from our partners; e-mails from our customers; and not to mention spam. Of course, this mailbox has several features, such as filters that can classify a type of email in a pre-selected folder or add an email address in your contacts, etc. It is not for nothing that we all have a mailbox. Because it allows us to communicate by sending a message to one or more people. And it is sometimes considered as a working tool; especially if you work in a company or in a profession of executive. 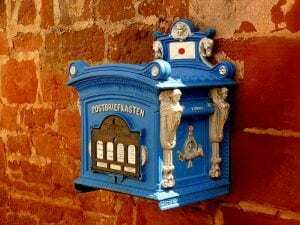 The problem today with e-mails is that more and more of us are spending a lot of time on our mailboxes. We receive far too many e-mails in a day, it is increasingly difficult to treat them all on time. Very often, we are obliged to open several times our mailbox during the day to treat a maximum of e-mails. Sometimes we even spend our evenings processing emails. And this can become a huge waste if time if you have the ambition to build your online business. Why can it be a drag? Because not only e-mails rob us a lot of free time, but also energy. Because we feel like we work a lot when we treat all his emails. But the truth is that this is not the case, it’s just that you have lost too much time to answer from right to left by e-mail. Suddenly, being exhausted working on your emails, you will have very little chances of progressing with your new activity part time. Because you need energy to both focus on a task, and also to execute it. Without this energy, you are like a car without gas. You cannot drive because you do not have a drop of gas in your tank. 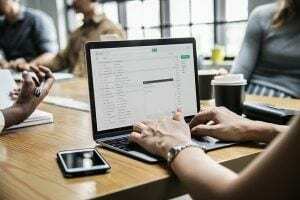 In short, how to avoid wasting time on e-mails? The first thing I invite you to do is start by reducing the number of personal mailboxes you manage. To share with you my personal experience. In 2016, before learning how to manage my e-mails, I managed 2 Yahoo and 6 Gmail mailboxes. So yes, I spent a lot of time managing e-mails. Sometimes I had so many e-mails to process that I decided to treat only half. It was a very big problem for me at the time because I spent very little time dealing with really important tasks. Like developing my activity on the Internet for example. So of course, it also concerns my business mailboxes. Instead of managing 4 mailboxes at the same time, make sure to manage 1 or 2 mailboxes maximum. Then, once you have removed the extra mailboxes, you will unsubscribe from all the newsletters that are useless for you. You know, we more and more tend to subscribe to newsletters, especially if we are interested in a subject. The problem is that the more we subscribe to newsletters, the more emails we receive in our inbox. As a result, as we receive more e-mails, we spend more time processing e-mails. Between you and me, this is not what we want to accomplish in our lives and we have much better things to do than to look at useless emails. To unsubscribe from an overload of newsletters, I recommend that you do what I do, is to systematically scroll down every emails that you don’t seem to have subscribed to, and unsubscribe. If there is no unsubscribe link, which is not legal, I simply report it as spam. By unsubscribing from most useless newsletters, you will receive far fewer emails. As you receive fewer e-mails, you will spend less time processing your e-mails and therefore you will have more time for the tasks that matter. Then, when you have unsubscribed from most newsletters, I advise you to limit the number of times that you consult your mailbox. For example, 2 – 3 times a day, once before lunch; once at 3:00 pm; and once at 6:00 pm. It allows you to spend less time on your mailbox and spend more time on tasks related to your business project part time. For my part, I look at my mailbox twice a day; once as I start my computer; second time sometimes in the evening. I can afford to do this, because I have removed a maximum of newsletters and unsolicited mails. Filters for some recurring emails are in place. I give my e-mail very little to avoid having to deal with an avalanche of e-mails. I could go further by giving you more tips, but with that, it is more than enough to reduce the time spent on your e-mails. Throughout this article, we have seen why you had trouble finding free time to start a new activity on the Internet. We have also seen strategies to help you save time and free you an hour a day in your regular days … even if you are a banker. Honestly, it’s a very good question and you are right to ask that. By applying all that I shared with you today, you will develop 2 great benefits. First, you will be able to tell the difference between a priority task and a task that is not. In particular by asking yourself the question about your priorities. In this way, you will increase your chances of finding free time. And finally, thanks to these strategies, you will be able to free yourself of an hour (or more) in your normal days. Especially, you will be able to use this time gained at your convenience. Whether it’s to progress with your part-time activity on the Internet, for example to build a blog, a YouTube channel, a podcast, etc. Or to enjoy your free time for sports, talking with friends, spending time with your family, etc. So, I’m not going to lie to you, the road will be long and difficult. Maybe you are going to have some hard time separating yourself from the TV; or, could be that you are going to be afraid to say “no” at times; maybe you are going to have trouble organizing your days. I won’t guarantee either that you will have sometimes violent relapses in some cases. But on the other hand, what is certain is that if you will make sure to be methodical and to hold on over time, I can assure you that you will succeed in gaining one hour a day, every day. And to do that, just write down your ”real” priorities on paper; then choose a simple strategy among those I have suggested; test it for 30 days; move on to another one until you are successful to implement them all. The importance is not to know everything, but to start experimenting. Thanks very much for stopping by and commenting on one of my articles Crystal. You are quite right, I do find this one a bit long, I guess I have been carried away by the subject. Yes, sometimes I find it a bit difficult to stop, especially when I have so many things to share. But anyway, I’ll try to do better in future, and thanks for pointing it out to me Chrystal. Your website is very impressive John.It shows that you didn’t spend time on social media but focused on constructing your website.I could see that this is a passion of yours and being able to have a website that flows and directs to where you want your visitors to go.All of the setting up a professional website has been met.The images are very attractive and effective.All in all:a well designed and interesting website. Thanks for reviewing my website John. I am glad that your find this article useful and well balanced. It is very encouraging. I am sure that you have also read Part 1 – Part 2 and Part 3 of “How To Make Money From Home In Your Spare Time”. If yes, I would love receiving your comments as well. Let me know if you have any questions. This is some great practical advise for how to make good of time while working online. It can be hard to focus on working when there are an infinite number of distractions on the internet. Social media especially is a huge waste of time. It’s not only distracting, but it also contains a lot of conflict which can be upsetting and disrupt your productive mindset. At this point I only use social media for my business. I will definitely be unsubscribing from all the e-mail newsletters that I don’t read, too. Another little time-managing tool which I just discovered is the Google Chrome Webtime Tracker. I just installed it and expect it will help me identify and eradicate my biggest time-wasters. Thanks very much Bailey for sharing your thoughts on my “How To Make Money From Home In Your Spare Time” series of time management for a successful online business. 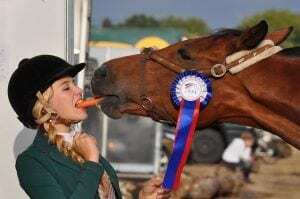 It has attracted quite a lot of interest and surprised so many of my readers about how much time they could (easily or not) save in a normal day. Some have even reported to have succeeded in saving a considerable amount of time and managed to put this towards creating a very productive business of their own. Thing they never thought would have been possible to do. I also have quite a few social media on which I share business tips and help my followers with their business. I rarely share personal stuff. Like you, I am regularly unsubscribing from newsletters I am not reading anymore in order to avoid distraction. By the way Bailey, thanks very much for sharing this time saving app: the “Google Chrome Webtime Tracker“. I am a great fan of everything Google, but I have not come across this app yet, so thanks very much. I guess my readers will also find it very useful. I know, I will.